Former Haitian film producer and distributor, Yvon Alteon, has been in injured in an accident in Milot Haiti. Yvon Alteon had to be taken by Helicopter to a hospital in Port-au-Prince. 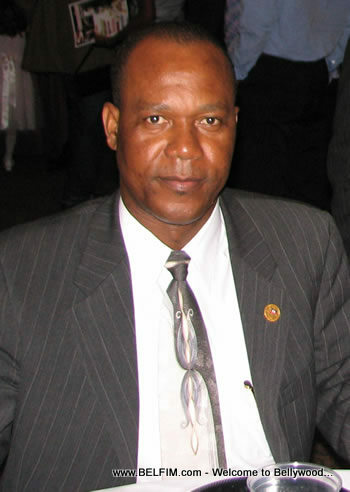 Very well known in the Haitian movie industry as the CEO of Tele Diaspora, Yvon Alteon, now the Delegue Departmental of Northern Haiti (Representative of the President), was riding down from the Citadelle with the presidential motorcade when the brakes failed in the vehicle he was in, a Polaris ATV. We don't know the full details of Yvon Alteon's condition but the latest news coming from the Haiti white house suggest that injuries sustained by the victims of this accident includes: Humerus fracture, arm injury, broken nose, head injury, and knee injury. Belfim.com wish Mr. Alteon a speedy recovery. Ednoisin Yahelkanah Shalom from YHWH ELYON; Thus all is well! Lala Yvon, a Boston native, you will be ok in God's name. Boston is praying for you!